There is a world of spring allergens out there. How can you possibly figure out which one is playing havoc? It is sad that these could be anywhere and mostly target the ENT – Ears, Nose and Throat!! 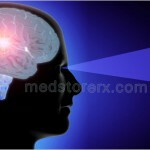 How to deal with anything completely depends upon the quick reaction to its signs and symptoms! Getting tests done as soon as you can be the first step to heal you! The allergy skin test is the quickest, most inexpensive and a very accurate way to find out what you are allergic to. The criminal could be a mold, grass pollen, or a type of weed. Some redness or swelling which may be persisting will help to identify the specific allergen causing your symptoms. Spring allergy relief is within your reach — on your local drugstore’s shelves. 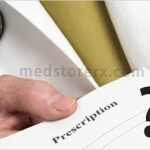 It is extremely necessary to start off taking a non-sedating antihistamine every day in the mornings usually! The biggest trigger is pollen. It can be extremely harmful and thus we shouldn’t underestimate it due to its size! Trees, grasses and weed all of it release the pollen in the air! When pollen grains get into the nose and airways of someone who’s allergic, they send the immune system for a complete toss! 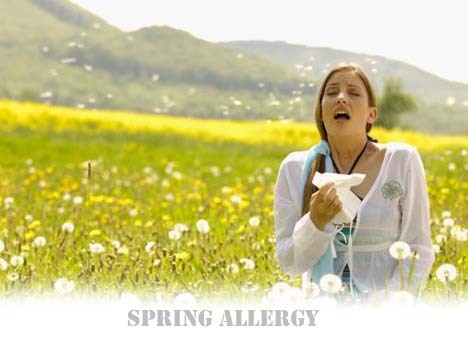 Trees, grasses and weed – Biggest spring allergy creators! There are many trees including Cedar, Pine trees etc. as well as some of the grasses and weeds that abound in the spring and summer. Allergy symptoms tend to be particularly high on breezy days when the wind picks up pollen and carries it through the air and thus we need to take tad bit more precautions on those specific ones! Runny nose, watery eyes, sneezing, coughing, scratchy throat, itchy eyes and nose, and dark circles under the eyes. Airborne allergens also can trigger asthma in some patients. If left untreated, these symptoms can worsen and morph into sinus infections and other upper respiratory infections. It’s nearly impractical to completely avoid spring allergies. However you can ease sniffling, sneezing, and watery eyes by avoiding your main allergy triggers. Try to stay indoors whenever the pollen in the air may be on the peak and that may be in the morning! However difficult it may be, but try stepping out during the right time to avoid its nasty symptoms! Keep your doors and windows closed whenever possible during the spring months to keep allergens out, otherwise its nothing but like an invitation to invade you, your family and your home! Help yourself with an air purifier! It may just be helpful to take away the entire drama of the pollen and other allergens from the air to keep your away from such hectic allergies! Mask it up! Wear a mask when mowing the lawn or other outside work that tends to stir up the environment. Clean or change the air filters in your home often. Make sure you have been washing your hair after going outside, because pollen can get collect in! Take up these requisites and you can shield yourself! Well and good!